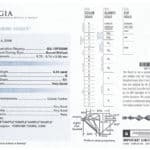 Sell Diamonds to a St. Paul & Minneapolis, MN Diamond Buyer. Do you want to sell diamonds? Then sell diamonds to Midwest Coin, the highest Rated Diamond Buyer in the St. Paul and Minneapolis, MN area. Also, we buy all diamonds including diamond wedding rings, diamond jewelry, diamond earrings, loose diamonds, graded diamonds or antique diamonds and more. As a result, we will buy any diamond you have. 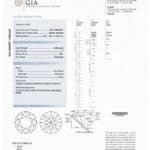 Our GIA certified Diamond Expert will provide an on the spot evaluation and no obligation purchase offer. Not sure if it is real? No problem. Bring us all possible diamonds and we will provide a complimentary evaluation and purchase offer. Therefore, Midwest coin is your best choice to sell diamonds to. If you want to sell any of the following, get in touch with us via our online quote form or call us at 651-317-8982. In conclusion, Midwest Coin is the best place to sell diamonds to in Saint Paul and Minneapolis, MN.